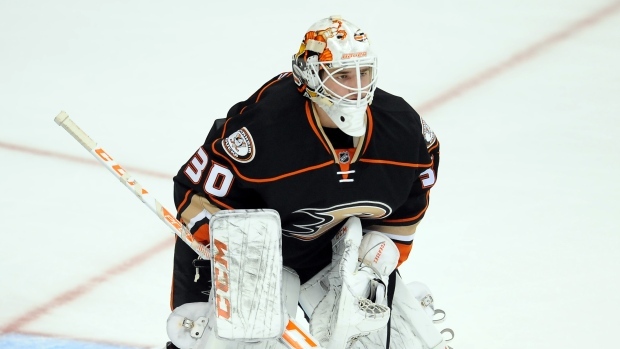 The Philadelphia Flyers have acquired goaltender Dustin Tokarski from the Anaheim Ducks in exchange for future considerations. Tokarski has been assigned to the Lehigh Valley Phantoms of the American Hockey League. The 28-year-old appeared in one game at the NHL level for the Ducks last season. He also played 27 games for the AHL's San Diego Gulls and posted a 17-8-1 record with a 2.93 goals against average. Tokarski has also played for the Montreal Canadiens and Tampa Bay Lightning over the course of his NHL career.